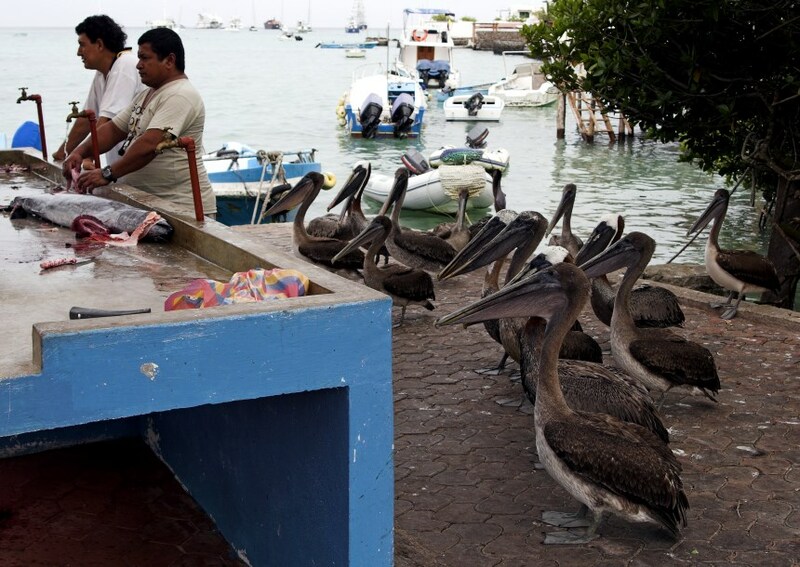 Due to restrictions on where people can live, almost everyone in the Galapagos Islands lives in a town. 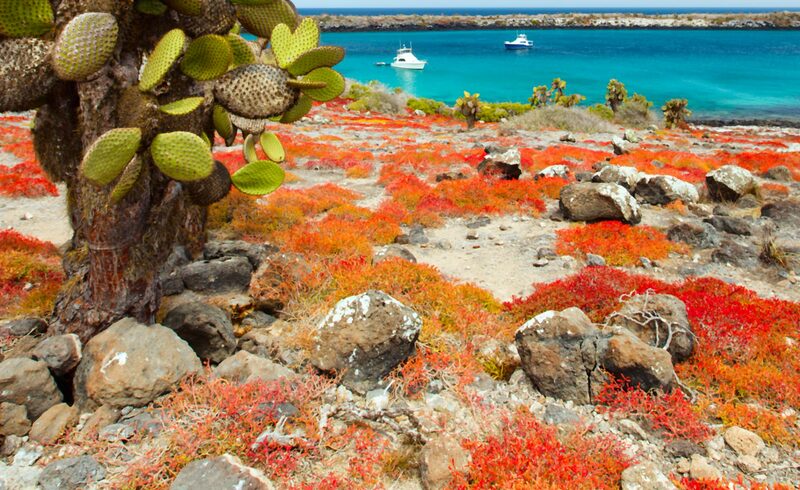 Puerto Ayora, Puerto Baquerizo Moreno and Puerto Villamil hold almost the entire population of Galapagos. What are the towns in Galapagos like? Puerto Ayora, began as a small fishing port next to Academy Bay on the island of Santa Cruz, however it is now the largest town on the Islands. As the population grew due to the tourism industry, the town expanded further from the coast as larger hotels bought up the land on the edge of the bay. Today the town has a population of around 15,000 people and has a wide variety of shops and entertainment sites as well as tourist facilities such as hotels and restaurants on the sea front. A new hospital opened in 2006 which serves not only Santa Cruz, but the rest of the islands in the archipelago too. The town now stretches around a kilometre back from the shore with boundaries clearly marking out the limits of the town’s size. Inside these boundaries, the town is a series of numbered ‘calles’ (streets) set out in grids. What problems do the towns face? The demand for housing has increased rapidly since 1990. While natural volcanic rock and stone are often used by building companies, the design of the buildings and where they are built does not always take the environment into account. Instead the cheapest options are usually used. The expansion of the towns has also seen the slow movement of new houses into natural areas, removing tree and plant coverage. 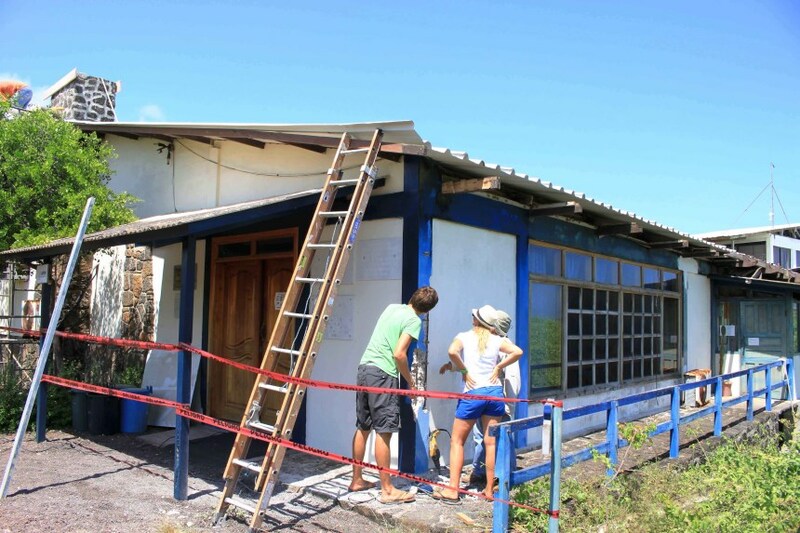 As part of work to find ways to reduce the impact of humankind on the Islands and secure a more sustainable future, the Galapagos Conservation Trust and the Charles Darwin Foundation worked together with a pair of professional volunteers passionate about sustainability. 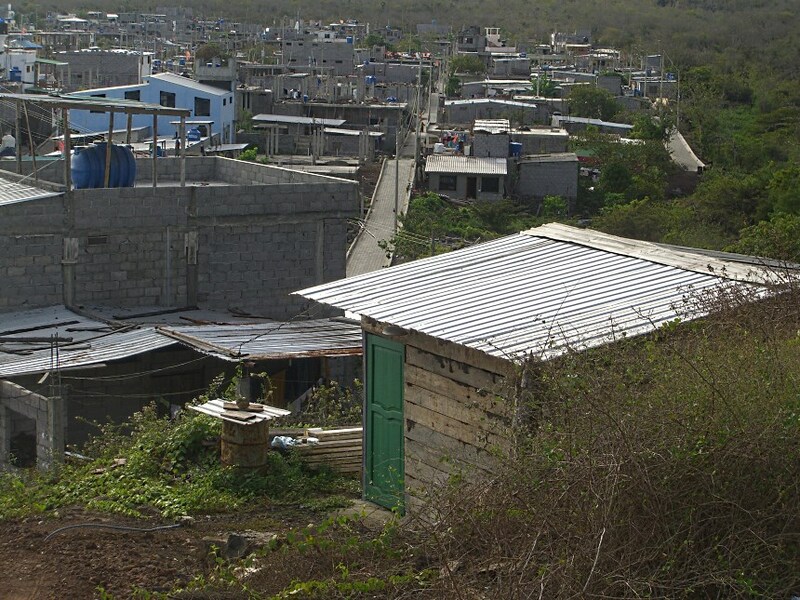 The objective of the Galapagos Sustainable Building Project was to reduce energy and water consumption across the Archipelago. The pair of professional volunteers worked with members of the community, sharing knowledge about how resources can be better used for construction and building improvement. Part of the project involved the rejuvenation of some of the buildings at the Charles Darwin Research Station including the library, which has the largest collection of research documents connected to the Islands in the world, many of which are unique. Future plans for the project include designing and constructing a ‘best practice’ house, which they hope will help to inspire the local community to explore eco-friendly construction methods. The house would need to integrate a number of water and energy saving design features, as well as being a cost-effective as possible to build.